Cover Reveal…Followed by First Tuesday Recipes for September! It’s here! First my street team saw it, then my newsletter subscribers, and now it’s time to show the rest of the world. The cover of The Worst Noel is here and I love it! Are you ready? The Worst Noel is available to pre-order as an ebook through all the major online retailers and, through some glitch that is no doubt my fault, as a paperback from Amazon. Other retailers will have the paperback in November. Want to order a paperback copy? Click here. Want to order an ebook from Amazon? Click here. Want to order an ebook from another retailer? Click here. If you’ve already ordered, THANK YOU! As we get closer to the ebook release date, I’ll be posting more about The Worst Noel, so stay tuned. And feel free to use the share buttons below! And now for The First Tuesday Recipes for September. If you get my newsletter, you already have the recipe for Muddy Buddies. 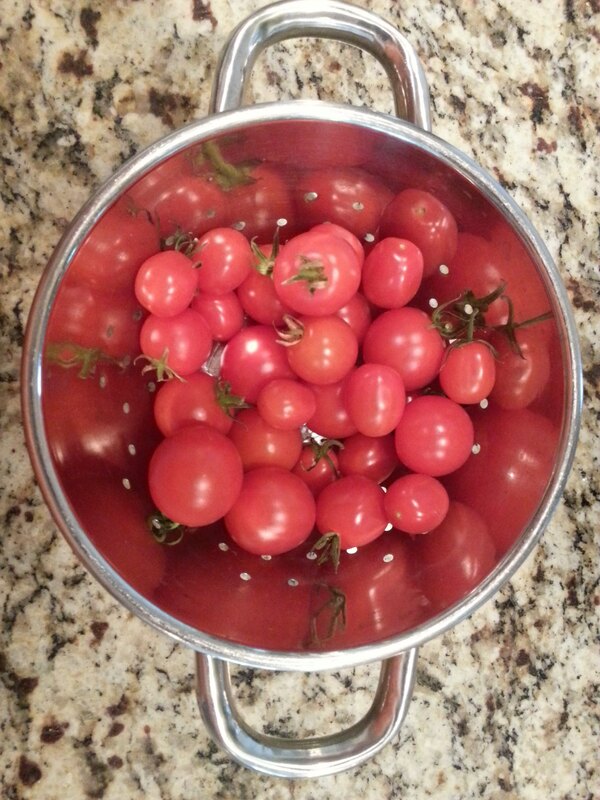 Here on the blog this month we’ve got a summery salsa, a dessert, and a fabulous side dish that’ll go with almost anything. Carefully fold all ingredients in a medium mixing bowl, guacamole-style. If doubling, don’t double the lime juice. Cook potatoes until tender, then drain well, peel, and slice. Cook bacon until crisp; drain, reserving 1/4 c. drippings. Crumble the bacon and set aside. Cook the onion in the reserved drippings until tender (and a little browned). Stir in flour, sugar, salt, celery seed, and pepper. Add water and vinegar; cook and stir until thickened and bubbly. Cook and stir 1-2 minutes more. Stir in bacon and potato slices. Heat through, tossing lightly. Add egg slices; toss gently just to mix. Preheat grill to medium-high or an oven to 450 degrees. Tear off a 12′ x 12′ square of aluminum foil. Mound the brown sugar and butter in the center, then top them with the pineapple slice and the cherry. Top with the dessert shell, flat side up. Fold in the sides of the foil and seal to form the packet. Grill each packet for 12-13 minutes. To serve, flip the cakes over. Top with a scoop of vanilla ice cream, if desired. Thanks to everyone who contributed! And thanks for being part of my cover reveal for The Worst Noel. If you haven’t subscribed to my mostly-once-a-month newsletter, click this link. It’s the first Tuesday of the month again–that means it’s time to share a few recipes that readers have sent me. I’ve got a few of my own, too. The first recipe this week comes from my friend Sharon, who shares the recipe she uses for blueberry sauce. Sharon loves the sauce on pancakes, waffles, and ice cream, but her favorite way to have it is over lemon cake. She found the recipe on allrecipes.com. And when I read the recipe, I had to try it. It’s every bit as good as Sharon says. In a saucepan over medium heat, combine blueberries, 1/4 c. room-temperature water, orange juice, and sugar. Stir gently and bring to a boil. In a small bowl, combine cornstarch and 1/4 c. ice water. Gently stir mixture into blueberry mixture. Simmer until mixture is thick enough to coat the back of a spoon, about 3-4 minutes. Remove from heat. Stir almond extract and cinnamon into sauce. My friend Maggie King, author of the Hazel Rose Book Group mysteries, featured a recipe on her blog that she invited me to share with you. I haven’t had a chance to try this one, but I’m going to. Preheat oven to 350 degrees. Combine all ingredients and mix (using a spoon, not an electric mixer). Pour batter into 13×9″ baking dish or 10″ tube pan. Bake, uncovered, for 15 minutes, then run a table knife through the batter to marble. Continue baking, uncovered, for another hour, or until cake tests done. I got this one from an old friend. It’s a breeze to make and my family loves it. Preheat oven to 350 degrees. Place chicken in 13×9″ glass baking dish. In a medium bowl, mix remaining ingredients, except for paprika. Pour mixture over chicken, sprinkle with paprika, and bake for 1 hour and 15 minutes, basting often. I hope you enjoy these! There’s also one coming out today in my newsletter (Rhubarb Cake, anyone?) and I posted three recipes recently in my blog on Novel Spaces. You can find it here. If you haven’t signed up for my newsletter, you can do so very easily by visiting my website at www.amymreade.com and clicking on the “Newsletter” tab. If you try any of these recipes, let us know! And if you have a recipe you’d like to share, email me at amymreadeauthor@gmail.com and I’ll put your recipe in the next First Tuesday recipes. Thanks to those who contributed this month! 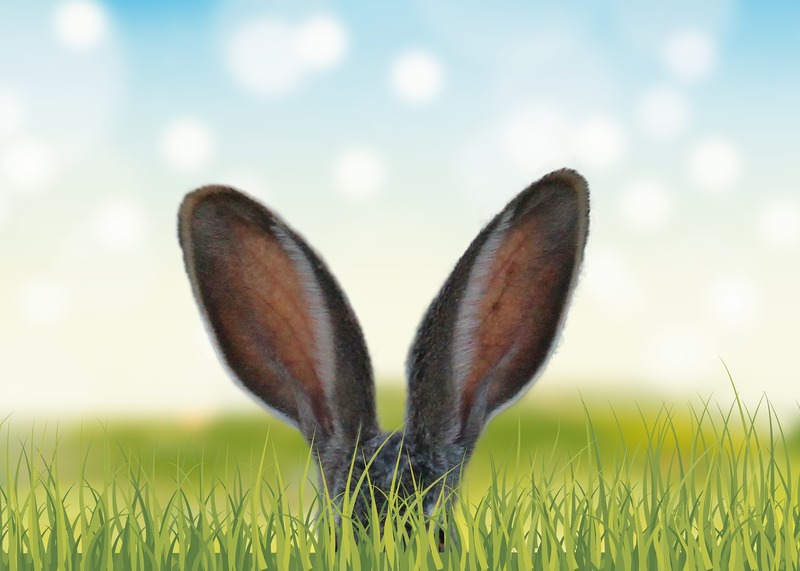 I hope everyone had a joyous Easter, a blessed Passover, or a happy celebration of spring (or fall, if you’re in the southern hemisphere) this past weekend. We were shoveling snow just a week and a half before Easter, so it was nice to have weather that was just a bit warmer. I’ve got some good recipes to share with you this month, and they come highly recommended from people who’ve tried them and loved them, including me. The first recipe comes from my friend Sharon, who emailed me to tell me that she served a delicious German red cabbage to her family. She found the recipe on the Taste of Home website. You can find it here. Sharon recommends using Gala apples because of their natural sweetness and also increasing the amount of apple in the recipe. Incidentally, my aunt gave me a subscription to Taste of Home for Christmas and I find a lot of great recipes in it each month. Coat a Dutch oven with cooking spray. Combine onion and apple in Dutch oven and cook over medium heat, stirring frequently, until onion is tender (about 5 minutes). Add remaining ingredients to Dutch oven. Cook, covered, until cabbage is tender, stirring frequently (about an hour). Serve warm or cold. Sharon says this recipe is excellent with pork or German sausages. This recipe comes from my grandmother, who got it from her mother. I have a copy of the recipe hand-written by my grandmother in an heirloom book of recipes that I received as a wedding shower gift. This recipe is great for Easter because it pairs so well with ham. Melt 1 stick butter and pour into a 2-qt. casserole dish. Cut each of 4 slices white bread (Wonder or similar type is fine) into 16 small cubes (I stack them and cut the stack). Add the cubes to the melted butter. Lightly beat 2 eggs in a small bowl and add 3/4 c. sugar; mix well. Add mixture to bread and butter mixture. Add a 20-oz. can of pineapple tidbits/chunks with juice to mixture in casserole dish. Mix everything together well. The next recipe this month comes from my friend Jenny. I hope she won’t mind me sharing here that she was my roommate while I was in law school. She was a graduate student at the time, working toward her Ph.D., and she’s now a professor in Florida. She emailed me to let me know this recipe is one of her family’s favorites from Penzeys Spices. You can find the recipe on Genius Kitchen–click this link to be redirected. I’m using Jenny’s recommended tweaks in the recipe below. In a small saucepan, combine the curry powder and oil. Saute over low heat for about 5 minutes, stirring often. In a medium bowl, combine mayonnaise, rice vinegar, and Dijon mustard. Whisk well to combine. Add curry powder/olive oil mixture, onion, ginger, pecans, and cayenne pepper to mayonnaise mixture. Whisk well to combine. Add tuna to above mixture and combine with a fork to coat tuna with dressing. Serve on a bed of baby spinach. Another one from Sharon, this time a dessert. I saw a picture of this on Facebook and it looked wonderful! I can’t wait to try it myself. She found this recipe online, too. You can read the original version here. Coat 13×9″ baking dish with cooking spray. Preheat oven to 350 degrees. In medium bowl combine crust ingredients. Beat until mixture is crumbly. Reserve 1 c. crust mixture and set aside. Press remaining crust mixture into baking dish, using your fingers to press evenly. Bake 15 minutes. While crust is cooking, whisk eggs in a large bowl. Add 1 c. sugar, 1/3 c. flour, sour cream, and salt; mix well. Gently fold in pineapple. While crust is still hot, spoon pineapple mixture over crust. Sprinkle top with reserved crust mixture. Bake 1 hour or until top is lightly browned, then cool for 15 minutes. In a small bowl, mix drizzle ingredients together. Drizzle mixture over bars. I hope you enjoy these! If you try any of them, let me know what you think. And if you have a recipe you’d like to share, email me at amymreadeauthor@gmail.com and I’ll put your recipe in the next First Tuesday recipes. Thanks to those who contributed this month! Last month’s inaugural First Tuesday Recipes was a great success! I got lots of feedback from readers who were happy to have some new things to add to their menu rotations. 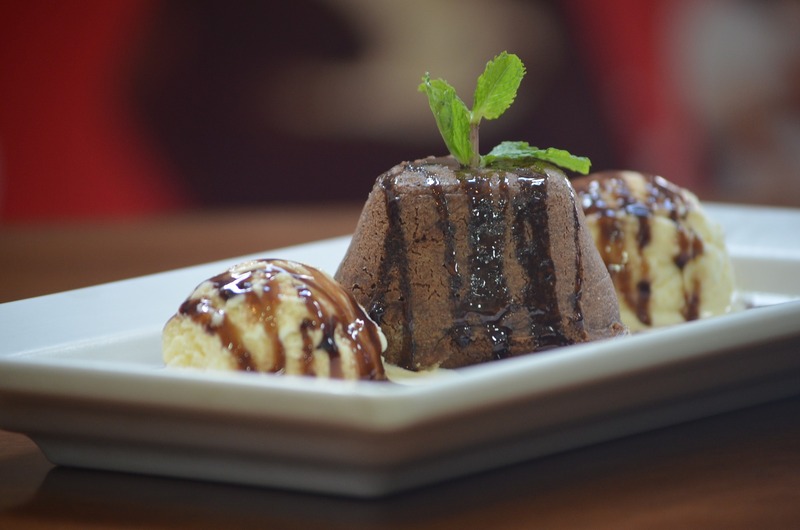 We’re back with another edition with some delicious creations to make your mouths happy. And bonus–these are all easy and come together quickly. If you have a recipe you’d like to share, leave it in the comments or email me at amymreadeauthor@gmail.com and I’ll be happy to include your recipe in next month’s edition. I would like to have dinner at Sharon Aguanno’s house sometime. She shares a recipe for split pea soup that sounds wonderful–perfect for the weather we’ve been having or for that leftover ham from Easter, which will be here before we know it. Sharon tells me her whole family loves this–even the grandkids! Soften peas: In a large stock pot, cover them with the cold water. Soak overnight. After peas have been soaked, add ham bone, onion, salt, pepper, and marjoram to stock pot. Cover, bring to a boil, then reduce heat and simmer for about 90 minutes, stirring occasionally. Remove bone; dice meat from bone and return the meat to the soup. Add additional leftover ham, if desired. Add celery, carrots, and potato. Cook for 40 minutes or until vegetables are tender. Sharon serves her Split Pea Soup with her granddaughters’ favorite Sweet Muffins. You can find the recipe here and there are some fun variations to the basic recipe. Preheat oven to 400 degrees. Prepare muffin tin; spray with cooking spray and set aside. In a large bowl, stir together dry ingredients. Make a well in the center and set aside. Stir together egg, milk, and oil in a medium bowl. Add all at once to the well in the dry ingredients. Stir mixture just until moistened. Spoon batter into muffin tin, filling each cup 2/3 full. Bake for 18-20 minutes. Remove from pan to cool. Makes 12 muffins. 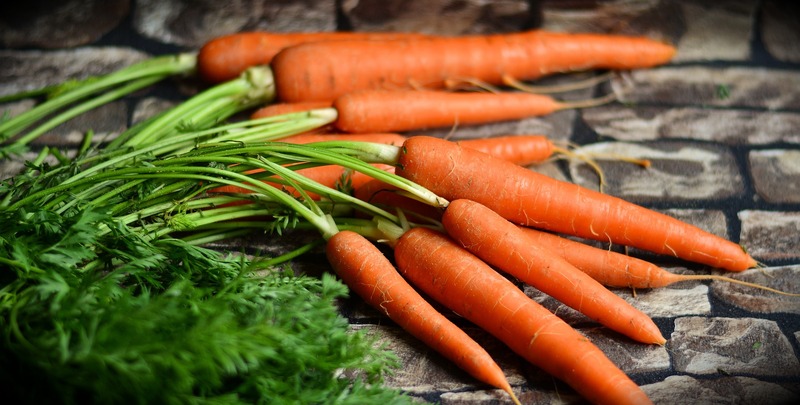 Author Ellen Buikema writes for children, but she makes a killer carrot cake. Rather than reprinting the recipe here, I’m going to send you over to her website. You click on the cake at the bottom of the page and send Ellen your email address. She’ll send you her 24 Karat Cake recipe. You’ll want to try it as soon as you can–and again, a great recipe for Easter! Author Maggie King writes the Hazel Rose Mysteries. Maggie has been my guest here on Reade and Write (read the posts here and here) and I have it on good authority that Hazel Rose’s chili is to die for. You can read the recipe on Maggie’s blog here, but I’m going to print it here with Maggie’s tweaks. It’s originally from Gourmet Gazelle Cookbook by Ellen Brown. Heat oil over medium-high heat in a Dutch oven. Add onion, garlic, and peppers; sauté, stirring frequently, for 5 minutes. Add the ground turkey or ground beef and sauté for 5 minutes, stirring constantly and breaking up any lumps with the spoon. Stir in the flour, chili powder, cumin, and cocoa. Stir frequently over low heat for 3 minutes until spices are fragrant. Add remaining ingredients except black beans and bring to a boil over medium heat. Simmer chili, stirring occasionally, for 40-45 minutes until thick and the turkey is tender. Add black beans and cook for 5 additional minutes. Maggie suggests adding jalapenos to the final dish and serving it all with corn bread. Yum! 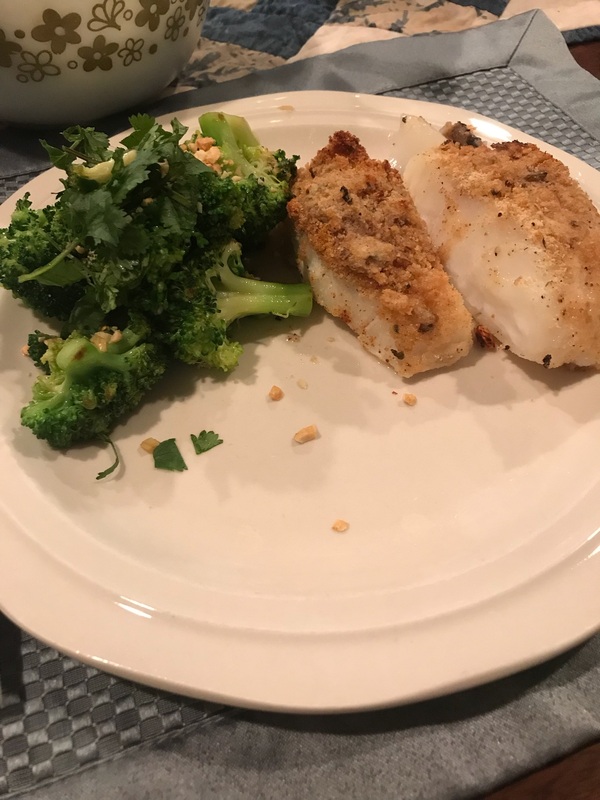 And finally, I tried two new recipes this month that I’d like to share. The first is a pork tenderloin and the second is a dessert. The pork tenderloin is adapted from a recipe I found online–here’s the link: pork tenderloin recipe. You’ll note that I omitted a couple ingredients in my version. I also doubled the recipe and took some to friends, and it works well doubled. For the life of me, I can’t find the photos I know I took when I made these. Maybe next month! Place all ingredients, except pork tenderloin, in a gallon Ziploc bag. Mix well and add the pork. Marinate the pork from 2 to 8 hours in the refrigerator. Preheat oven to 375 degrees. Heat a heavy oven-proof skillet over high heat until very hot. Once the skillet is hot, remove pork from marinade (reserve remaining marinade) and sear it on all sides. This should take about 6 minutes. Add the remaining marinade to the skillet and cook for 1 minute. Add 1 c. water to the skillet and stir gently. Place skillet in oven and cook for 15 minutes. Remove the pork from the pan and allow to rest for appr. 10 minutes. Slice the pork and serve drizzled with extra pan sauce. This last recipe is one I got from my father. I had to include a decadent dessert! Preheat oven to 350 degrees. Grease a 13×9 baking dish. Cream butter in a large mixing bowl. Beat in flour, sugar, and salt until crumbly. Using your fingers (you may need to dip them in flour first) press 1 3/4 c. of the crumb mixture in the bottom of the baking dish. Reserve remaining mixture. Bake 10-12 minutes or until edges are golden brown. Place condensed milk and 1 c. chocolate morsels in a microwave-safe bowl. Heat on high for 1 minute; stir morsels. Continue heating morsels at 10-20 second intervals, stirring after each time, until chocolate is smooth. Spread over hot crust. If using nuts, stir them into the reserved crumb mixture. Sprinkle crumb mixture over chocolate. Place raspberry jam in a small microwave-safe bowl. Heat at 50% power until jam is runny. Drizzle jam over top of the bars. Sprinkle with remaining chocolate morsels. Bake 25-30 minutes. Cool on wire rack and cut into squares when cool. Makes 30-36 squares. I hope you get a chance to try some or all of these and that you’ll send in your own recipes for next month’s First Tuesday Recipes! The First First Tuesday Recipes! So my daughter, who is thousands of miles away, is sick. And the Dow fell off a cliff yesterday. And I was nursing a headache. And I forgot to schedule my car’s oil change. And today I have so much to do that I’ll never get it all done. I need food. And not just food–I need to cook. Cooking is like food for the soul. I find it to be relaxing, meditative, comforting, and thoroughly enjoyable. I’ve wanted to share recipes on this blog for a long time, and this year when I realized I needed to do something new, food came to mind (as it always does). So welcome to the inaugural edition of First Tuesday Recipes. On the first Tuesday of each month, I’ll be sharing some recipes I tried and liked over the past month and I hope you’ll share some, too. You can leave your recipes in the comments, or you’re welcome to email me at amymreadeauthor@gmail.com and I’ll include them the next month’s post. This month I’ve got a fish entree, a soup, and a salad to share. Another soup recipe comes courtesy of Sharon Aguanno, who tells me it’s one of her favorites. I found this recipe on Foodandwine.com. Click here to visit the page. This is the entree in the photo at the top of the post (now you see why I never became a food stylist). Preheat oven to 350 degrees. In a small saucepan, combine soy sauce and ginger. Bring to a simmer; remove from heat and stir in honey and mustard. Heat olive oil in a large ovenproof skillet. Sprinkle fillets with pepper and put them in the skillet, skin side up. Cook over high heat for 2-3 minutes, until golden. Turn the salmon over and spoon the ginger-soy glaze on top. Transfer skillet to oven and bake for 5 minutes. 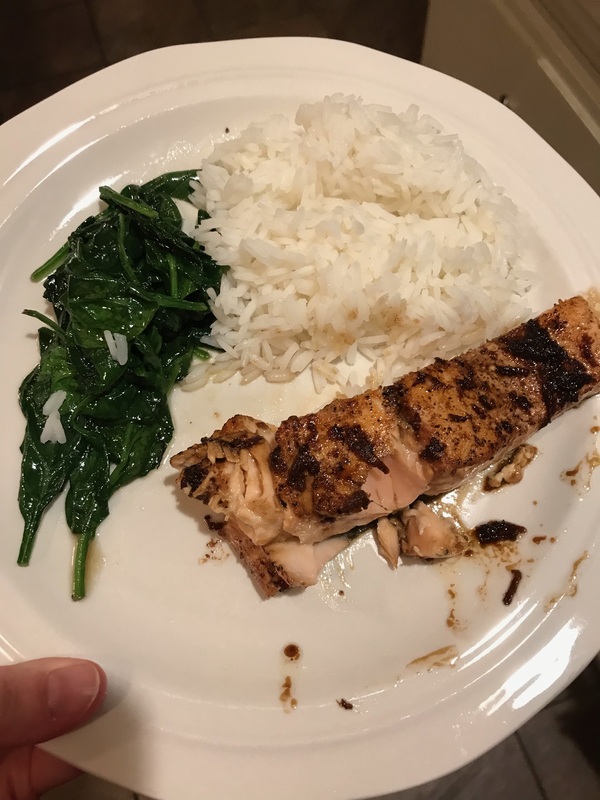 I served this with wilted spinach and Jasmine rice. It was a big hit! I found this on allrecipes.com. You can click here to visit. In a medium skillet, brown ground beef over medium heat. Drain and place in the bottom of a greased slow cooker. Add all remaining ingredients except corn chips, sour cream, and shredded cheddar, and mix. Cook on LOW for 8 hours. Serve with garnishes, if desired. Sharon Aguanno found this recipe on allrecipes.com. Click here to visit. In a large pot, combine broth, water, and chicken over medium heat. Bring to a boil, then stir in rice, reserving the seasoning packet. Cover and remove from heat. In a small bowl combine salt, pepper, and flour. Melt butter in a medium saucepan over medium heat, then stir in contents of seasoning packet until bubbly. Reduce heat to low and, one tablespoon at a time, add the flour mixture to the butter mixture to form a roux. Whisk in the cream, a little at a time, until fully incorporated and mixture is smooth. Cook until thickened, about 5 minutes. Stir cream mixture into rice mixture. Cook over medium heat until heated through, about 10-15 minutes. Sharon recommends adding vegetables to this soup, too. This is one I’m going to try before the end of February! Thanks to my aunt, I get Rachael Ray’s magazine every month and I have to say I’ve never tried a recipe from that magazine that wasn’t a hit. This one, which I adapted a bit, is quick and easy. You can visit the page here. In a wok or large skillet, heat 3 tbsp. oil over high heat. Add broccoli and cook, stirring, until broccoli is crisp-tender and beginning to char, about 6-8 minutes. Season with salt and pepper. In a small bowl, whisk ponzu sauce, rice vinegar, garlic, and remaining 2 tsp. oil. Toss with broccoli and sprinkle with cilantro and peanuts. I served this with a lemony breaded cod–another big hit! I hope you get a chance to try a few of these recipes and that you’ll send in your own suggestions for next month’s First Tuesday Recipes post! As you may know, I have a new book coming out on December 5th. 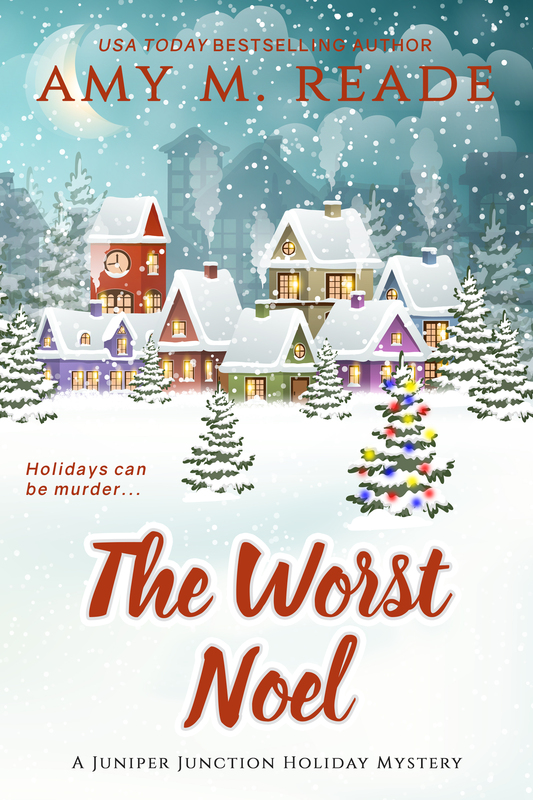 It’s called The Worst Noel and it’s part of a 12-ebook set featuring Christmas-themed cozy mysteries. This is my first cozy mystery, and I have to tell you that I really enjoyed writing it. One of the characters in my story, Noley Appleton, is a recipe developer for a magazine. Her job requires her to do a lot of cooking and Lilly (the main character) and her family are Noley’s happy guinea pigs. This week I’d like to share some of the recipes that you’ll see mentioned in the book and a couple you won’t. The 12-book set comes with a bonus recipe book, but if I remember correctly, I only submitted one recipe–the rest I figured I could post here. These are recipes that my family enjoys throughout the holiday season. I hope you enjoy them! Preheat oven to 350 degrees. Spray a 3-quart baking dish with cooking spray. Boil the squash until tender, about 20 minutes; drain well. While still hot, beat the squash with the remaining ingredients until smooth. Spoon mixture into prepared baking dish; cover and bake for about 15 minutes. Preheat oven to 400 degrees. Line a jelly roll pan with foil and spray foil lightly with cooking spray. Toss shrimp with olive oil, salt, and pepper and spread them on the foil in a single layer. Roast for 8 1/2 minutes until just-pink and cooked through. Serve at room temperature with your favorite cocktail sauce. Thaw dough in microwave or in refrigerator; bring to room temperature. While doing that, brown sausage in a medium skillet over medium heat. On a floured surface roll out the dough into an oblong shape, about 14 inches long and 8 inches wide (these are just approximations). Sprinkle with the sausage. Smear with egg white (this works best if you use your hands). Sprinkle with cheese. Roll up the dough starting with a long edge. Cut in half and place each half on a greased baking sheet. Brush each half with the egg yolk. Preheat oven to 325 degrees. Spray 2-quart baking dish with cooking spray. Place chicken pieces in baking dish. Sprinkle the soup mix over the chicken. Spread the cranberry sauce over the chicken. Drizzle with French dressing. Bake, uncovered, for about 90 minutes. P.S. 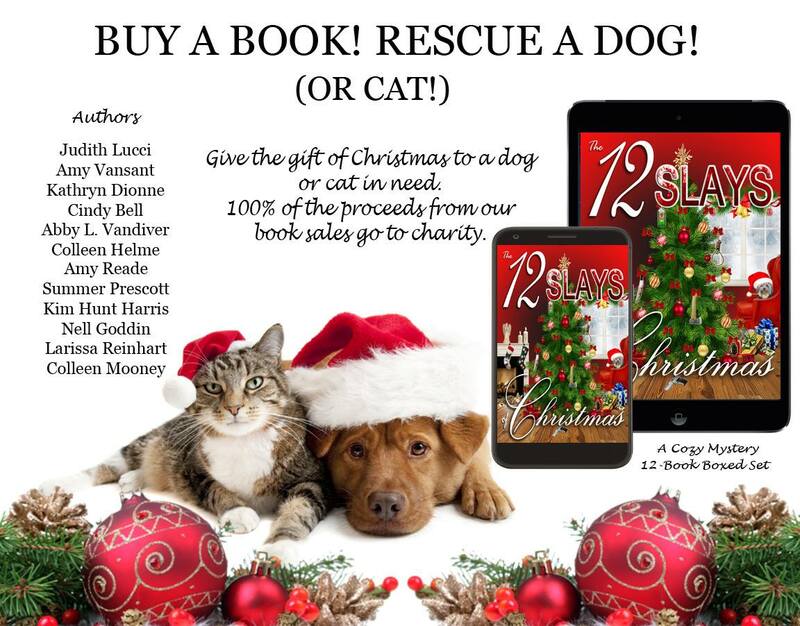 If you’d like to pre-order a copy (or ten) of The 12 Slays of Christmas for just 99¢ (and ALL the proceeds from the sale of the set go to animals in need), visit www.12slaysofchristmas.com and click on your reader of choice to order!